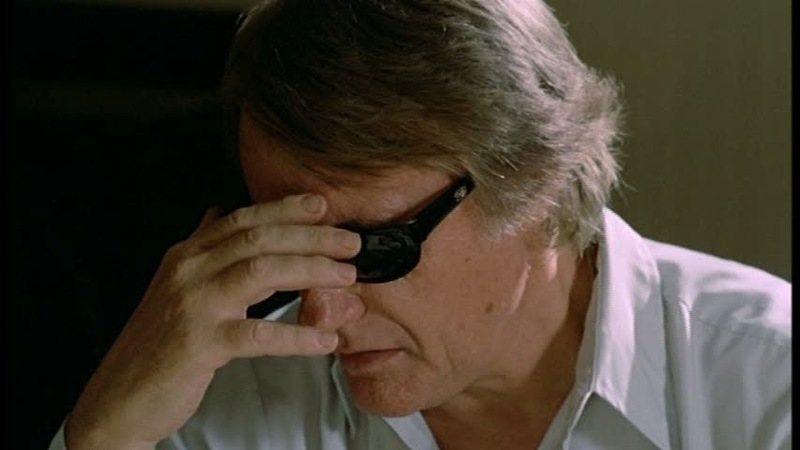 Whenever I review any late 80s Italian horror I always mention how they were on a major decline and it’s quite amazing how it seemed all these filmmakers lost their edge at the same time with the exception of Dario Argento who continued to make quality films and you can even throw Michele Soavi into that as well even if I’m not the biggest fan of his work. Zombie 5: Killing Birds easily rates as one of the worst to come out of Italy and movies like this was proof Italian horror was dead; Killing Birds is the kind of movie that makes you wanna rip out your eyes and stab yourself in the ears so you don’t have to see or hear anything. To say this movie is bad would be a major understatement; truth is the movie does have some fun moments, but overall it’s just a waste of a film. Zombie 5 has no connection to Fulci’s Zombi 2 or Zombi 3 just like Zombi 4: After Death has no connection either. It’s simply a marketing ploy and I guess with a movie this horrid you need some kind of hook to sell the movie. Its kind of confusing with the Zombie movies, but the only official parts are Fulci’s Zombi 2 and Zombi 3. Zombie 5: Killing Birds was actually released before Zombie 4: After death. Confused yet? Normally when I write a review I always try and find something positive to say as I don’t like to just piss all over someone’s work, but I really cannot think of much to say good about this film. I’m not sure the movie has any redeeming qualities. The screenplay if you can call it that by Daniele Stroppa & Sheila Goldberg is terrible; the script makes zero sense and has some of the worst and most idiotic characters to ever grace cinema, but we’ll get more into that in just a bit. Killing Birds starts out as a slasher flick than it seems it has something to do with birds than in the middle it becomes a haunted house movie, but we aren’t done yet as now it’s a zombie flick and finally we go back to the birds. All I wanna know is what the birds had to do with anything? And what was the deal with the haunted house aspect? At times the movie also attempts some comedy and a John Hughes film this is not. It’s like several different scripts were written than merged to one. 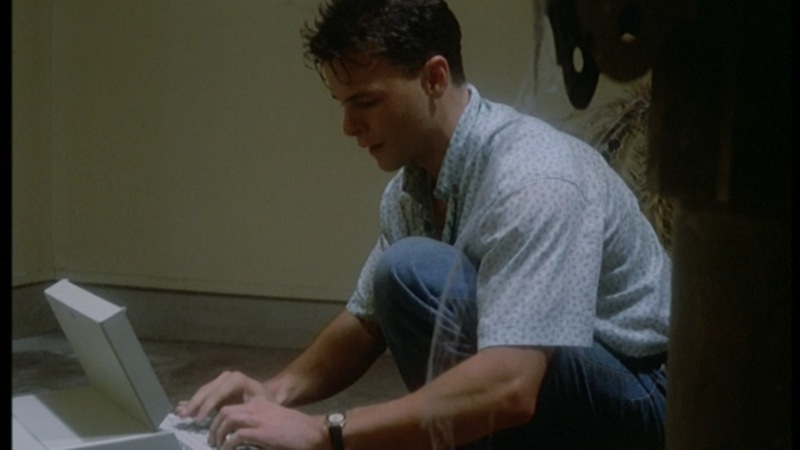 As for the characters ok granted horror films aren’t always known for having smart characters, which sadly is accepted far too much by the audience, which allows lazy writing. But I don’t think there is a word to describe the characters in Killing Birds. Calling them idiots would be an insult to idiots. These people are just complete morons! Sometimes that can add to the charm, but other times it’s just too much and this is one of those times. Example being; one guy gets stuck in a generator and as he struggles to break free while his friend watches in horror. Here’s an idea Einstein how about you go and perhaps try and help him instead of standing there like an idiot. After the guy dies the friend runs away to tell the others and when he gets to them he says “they got him.” Who exactly got him? He got stuck in a generator and you stood there like a complete dolt, ain’t nobody got him. It’s just little moments like this that drive me crazy with Killing Birds. 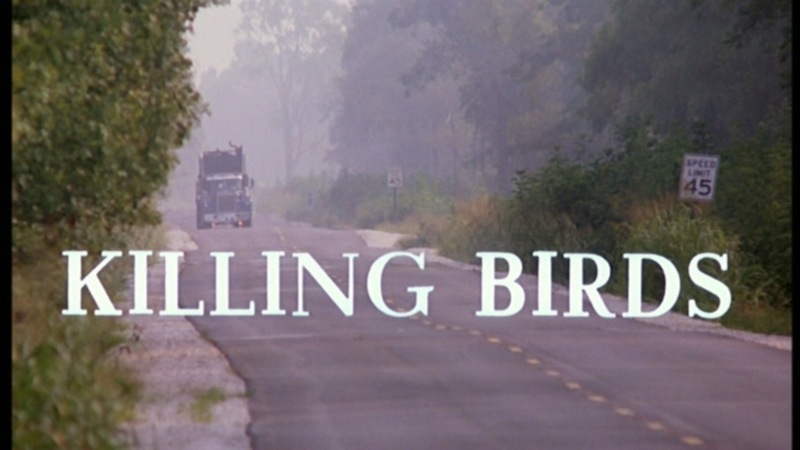 Some reports have Killing Birds directed by the legendary Joe D’Amato best known for the cult classic Beyond the Darkness. From what I read his name was left off and someone else was credited to avoid over exposure. Not sure how true that is since many Italian filmmakers used alias and Joe D’Amato whose real name is Aristide Massaccesi was the DP of the movie under the name Fred Sloniscko so if he was actually also the director why not use one of his many aliases? It’s not like now with so much technology for us info is easy to find so most people back when this film was released wouldn’t even know it was Joe D’Amato if he used one of his many aliases. Claudio Lattanzi was credited as director and this is his only directing credit and well I can’t say I’m shocked. Killing Birds is horribly paced and more often than not the movie is quite boring and focuses on the characters, which would be great if they were interesting, but they are idiots and the faster they die the better, but sadly we spend a good chuck of the film with them. Lattanzi has no clue on pacing or suspense as the movie goes from idiotic scene to idiotic scene. Lattanzi does attempt suspense, but it’s quite laughable as its so horribly done. Everything is poorly staged and the gore we get is quite pathetic. This was truly a low point in the career of Robert Vaughn; also his character at the end is the hero. Um didn’t he brutally kill some people in the beginning? Also his relation to the character of Steve is quite idiotic. Either Vaughn really needed the cash at the time or just needed to get away from a nagging wife or something. His performance was horrible, but that just keeps true to all the other actors in the movie as well. Half the time the actors mumble their lines and you can’t pick up what they said, but seeing as pathetic the script was I suppose it’s not a bad thing if you don’t hear it. 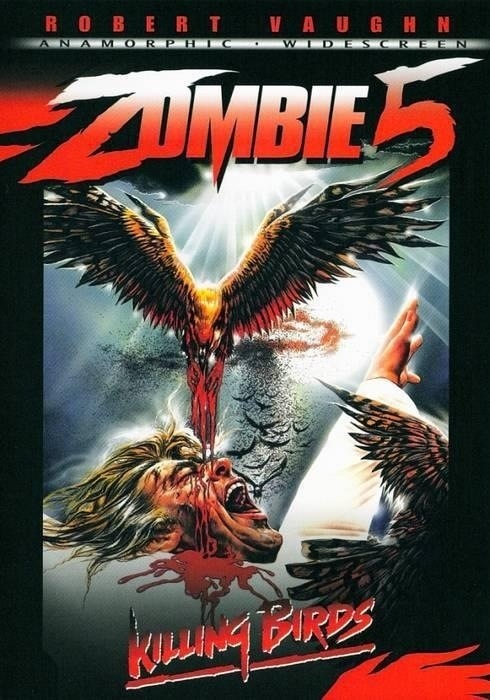 Zombie 5: Killing Birds was just a pathetic attempt at a movie and it really isn’t a surprise Italian horror was mostly dead by this time, but the really scary thing is this movie makes Zombie 4: After Death look good and that isn’t an easy task.